A call log spreadsheet can help a person to organize their calls, and in addition, they can record each aspect of all of their calls. 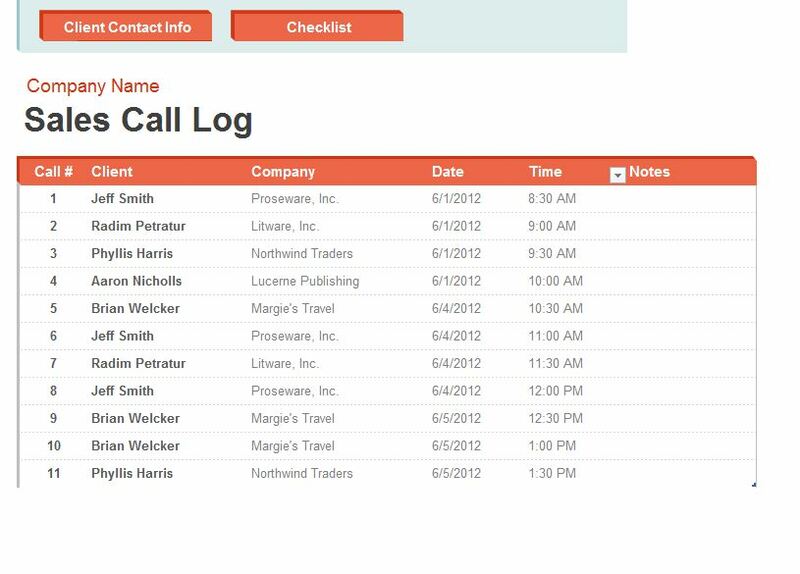 An individual can use this spreadsheet for their own calls, or a person can use it to effectively log all of the calls of a business. A person will be able to log the time and the duration of each call, and by logging the amount of time that people at a business are on the phone, the average duration of all of the calls of the business can be determined. In addition, a person can determine the times at which the volume of calls to the business is the highest. Knowing the phone number from which a person is calling is vital, and in addition to being able to log the phone number, a person will be able to determine the geographical location from which the call came. With the call log spreadsheet, a person can add any extra notes about a call, such as information that was discussed during the call, whether or a not a person is planning to call back again and whether or not a sale was made during the call. The call log spreadsheet includes a place in which a person can write the type of phone that was used to place the call, such as a mobile device or a landline. If a person is using the spreadsheet to log the calls of a business, they can include the name of the customer service representative who talked to the customer. Some companies ask customers to take surveys after they call the company in order to determine their level of customer satisfaction, and if the customer chooses to complete the survey, their answer for each question can be listed in the spreadsheet. The call log spreadsheet is easy to download, and usually, the process of downloading it takes only seconds. A person can fully customize their template by using Microsoft Excel, and they can easily add columns and rows to the spreadsheet. There are many benefits to downloading the call log spreadsheet. Some of these include knowing the time and the duration of each call, knowing the phone number of the caller, listing the name of the representative who talked to a customer during the call, listing the type of phone that was used to make the call, determining the level of customer satisfaction, the fact that the template is easy to download and the fact that it is fully customizable.